I am pretty happy that mattes and satins are having another moment this fall. I loved them in the very beginning and love them still, so it's always fun for me to see new brands release mattes and satins. Sephora's Formula X brand released a collection of matte shimmers for fall, called Brushed Metallics. When I first saw this collection, I instantly knew I had to have Formula X Prophecy. Prophecy is described as a matte metallic cobalt blue. 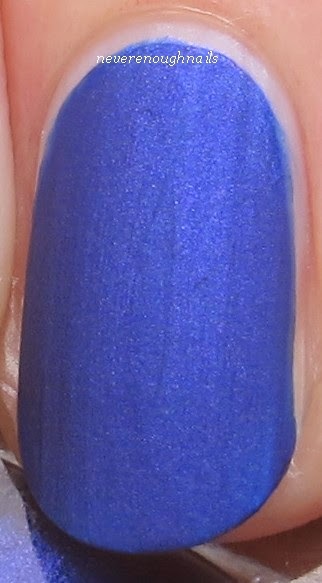 It is a nice bright cobalt with hints of purple and the shimmer is really strong in person. This color is kind of chameleon-like, depending on lighting. Sometimes it looks dark, almost navy, other times it is clearly a bright cobalt, and other times it looks more purple. 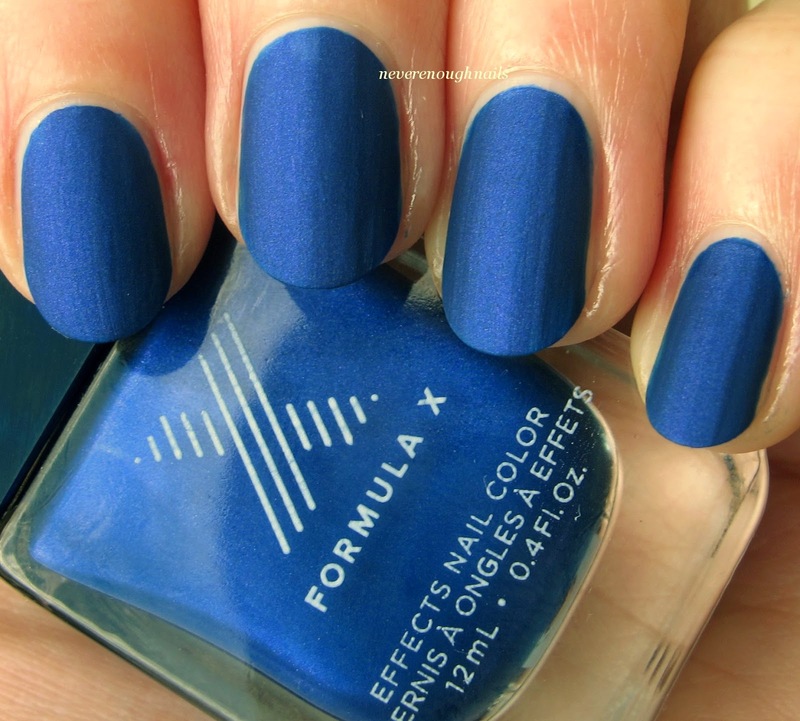 The formula is pretty standard for a matte polish. It dries extremely quickly, so you have to work fast. You can't go back over a spot until it is completely dry. It is a bit thick, but not too thick to work with. I was worried about staining, but I wore it for a full day with no base coat and had no staining. I originally tried to wear a matte top coat as base coat, but the polish wouldn't apply properly, so I gave up on that. Mattes like Prophecy chip pretty quickly on me, but I love them anyway! The Formula X Brushed Metallics all look really pretty, but I think Prophecy is a real stand out shade. 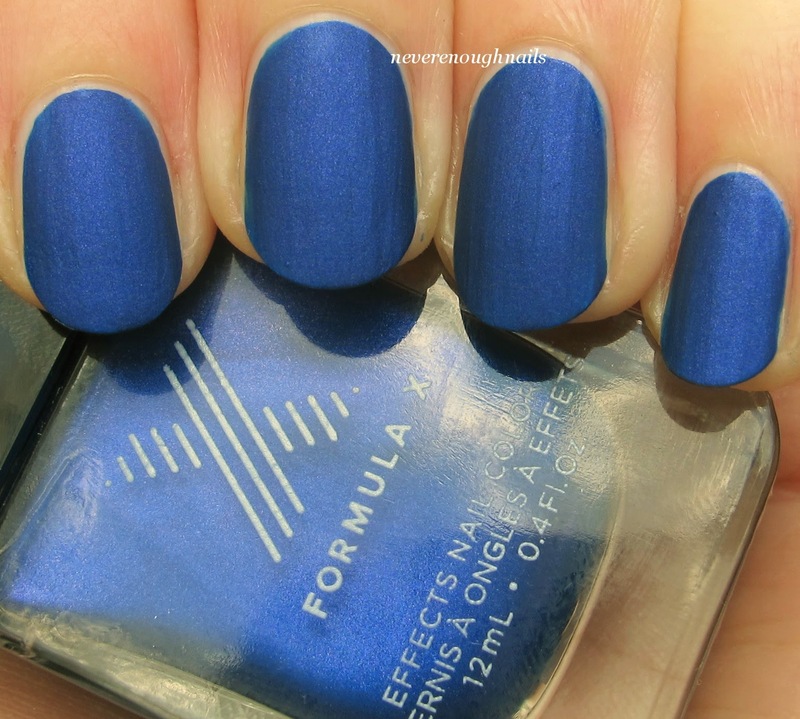 If you like blues and mattes, you will want this one. Formula X Prophecy is available in Sephora stores and at Sephora.com. It is really pretty Ananka! I got a ton of compliments on this when I wore it. People just grabbed my hands and asked what it was! OPI Gwen Stefani Holiday Swatches, Part 2! OPI Gwen Stefani Holiday 2014 Swatches, Part 1! Two More Gorgeous Fall Holos from Smitten Polish! NYC Fashion Queen Collection Fall 2014 Swatches!